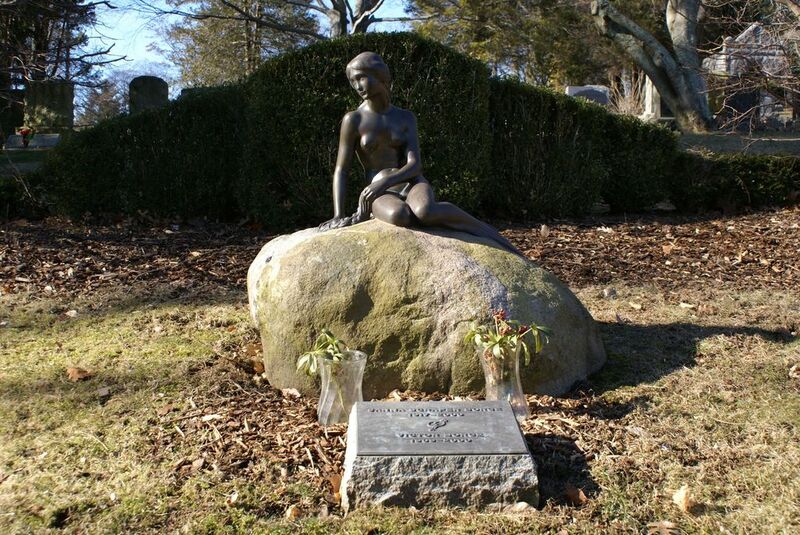 The Little Mermaid at the grave of Victor Borge. Photo by René Frederiksen. 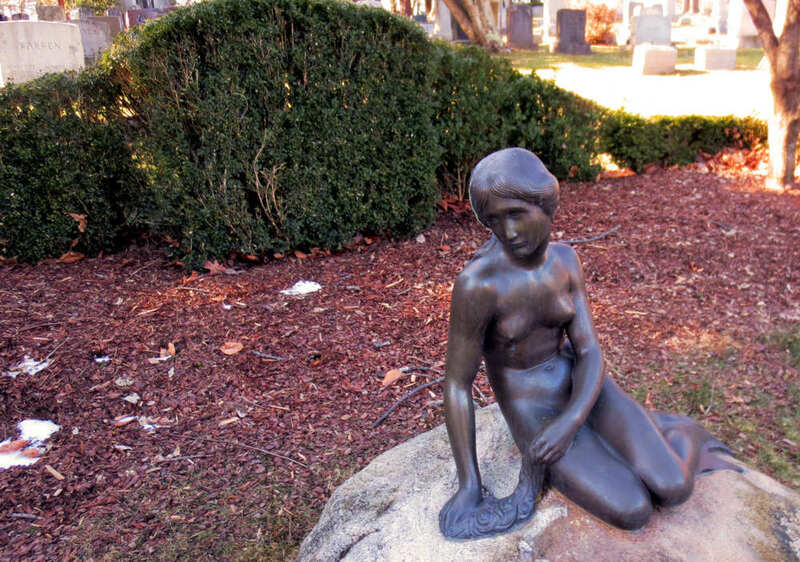 Borge’s grave is at the Putnam Cemetery in Greenwich, and is a copy of the famous danish mermaid statue. Borge arrived in America in 1940, after escaping from Europe when the nazis occupied Denmark. Borge had been performing often in Europe, making anti-nazi jokes, and luckily was performing in Sweden on the day the nazis occupied Denmark. The grave in Greenwich has half of Borge’s ashes. The other half is buried in Copenhagen, by the grave of his parents. 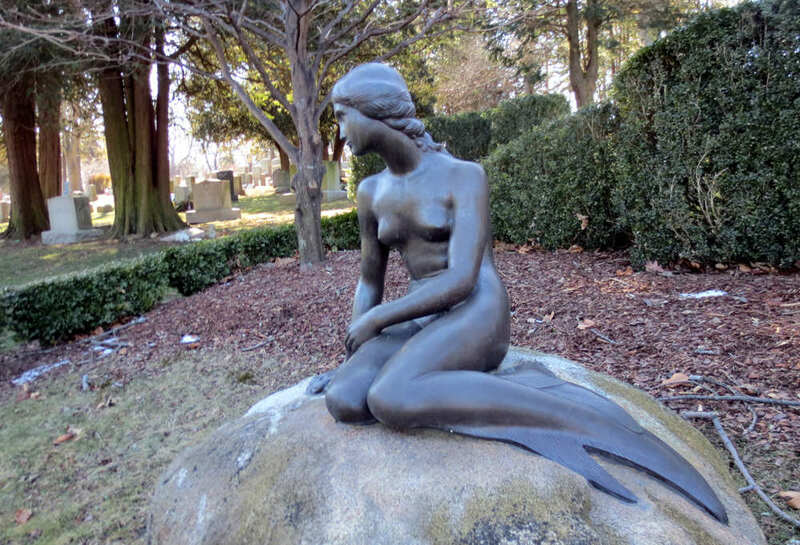 The Little Mermaid – replica on Victor Borge’s grave. 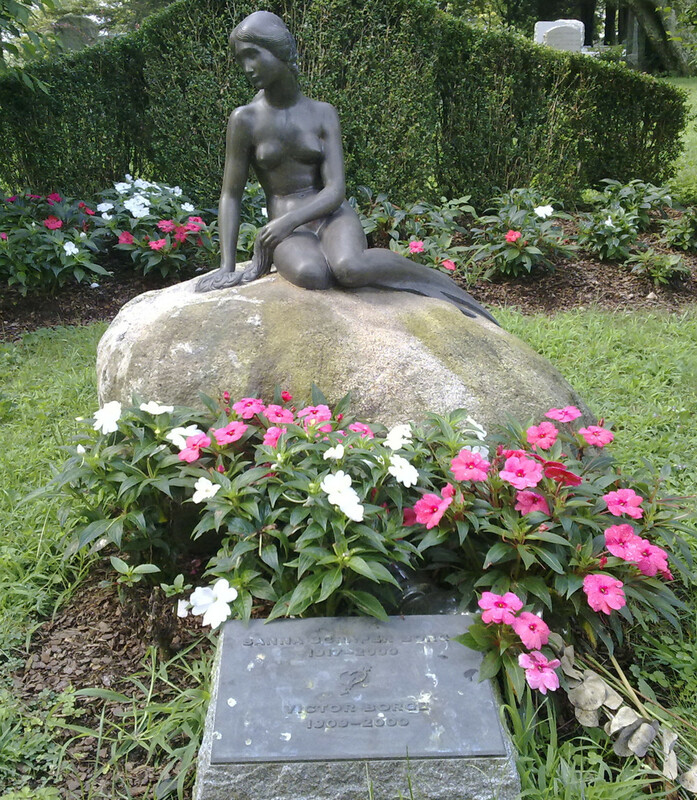 The Little Mermaid – replica on Victor Borge’s grave. Photo by René Frederiksen. The Little Mermaid, Victor Borge’s Grave. Photo by Charles Stow. 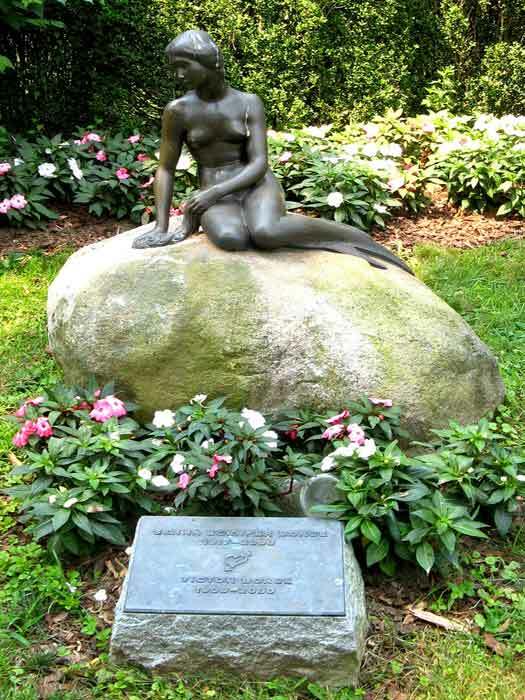 This is one of the many copies of Edvard Eriksen’s original mermaid statue placed in Copenhagen harbor in 1913. 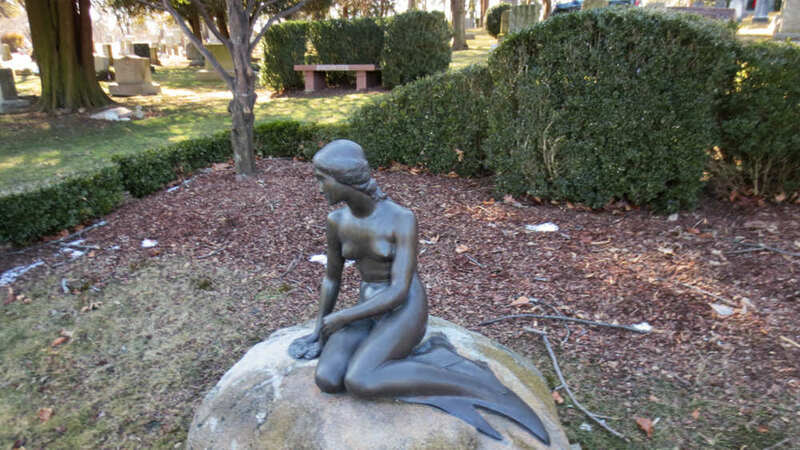 Additional images: If you would like to help with additional photographs of this mermaid statue, please contact us. Photos must be yours, preferably 10 megapixel or better.